Sebastian Haffner (the pseudonym for Raimund Pretzel) was a German journalist and author whose focus was the history of the German Reich (1871-1945). His books dealt with the origins and course of the First World War, the failure of the Weimar Republic and the subsequent rise and fall of Nazi Germany under Hitler. In 1938 he emigrated from Nazi Germany with his Jewish fiancÃ©e to London, hardly able to speak English but becoming rapidly proficient in the language. He adopted the pseudonym Sebastian Haffner so that his family back in Germany would not be endangered by his writing. Haffner wrote for the London Sunday newspaper, The Observer, and then became its editor-in-chief. 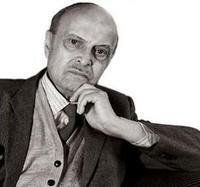 In 1954, he became its German correspondent in Berlin, a position which he kept until the building of the Berlin Wall. He wrote for the German newspaper, Die Welt, until 1962, and then until 1975 was a columnist for the Stern magazine. Haffner was a frequent guest on the television show Internationaler FrÃ¼hschoppen and had his own television program on the German channel, Sender Freies Berlin. Sebastian Haffner was a non-Jewish German who emigrated to England in 1938. 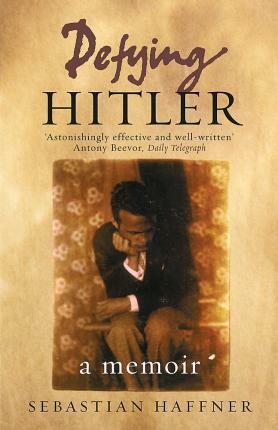 This memoir (written in 1939 but only published now for the first time) begins in 1914 when the family summer holiday is cut short by the outbreak of war, and ends with Hitler's assumption of power in 1933. It is a portrait of himself and his own generation in Germany, those born between 1900 and 1910, and brilliantly explains through his own experiences and those of his friends how that generation came to be seduced by Hitler and Nazism. The Germans lacked an outlet for self-expression: where the French had amour, food and wine, and the British their gardens and their pets, the Germans had nothing, leading to a tendency towards mass psychosis. The upheaval of post-WWI revolution, factionalism and inflation left the Germans addicted to excitement and action: Hitler provided this, and more. 'There could not be a better time than now to be given a fresh, close-up eyewitness account of how Germany allowed Hitler to slide into power in 1933...The book has already topped the bestseller list in Germany for a year. No wonder.